The ultimate matrimonial experience in the skies! Take to the skies and tie the knot in a ceremony that quite literally transcends all others. 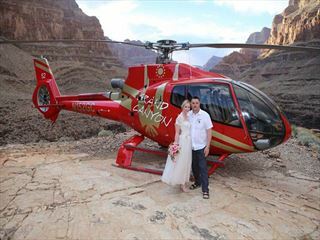 A helicopter wedding is the ultimate matrimonial experience that you’ll treasure for a lifetime. Helicopter weddings not only provide you with a distinctive and memorable ceremony but they also allow you to take in the glittering sights of your chosen location. 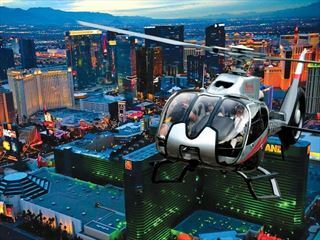 Enjoy the luxury of a chauffeured limousine ride to your private helicopter in Las Vegas or Canada, before getting hitched thousands of feet above the shimmering city below. A helicopter wedding is intimate, romantic and unforgettable – everything your special day should be.